"We too are committed to rugby’s values of respect, integrity and inclusivity." Rugby Players Ireland has released an official statement following confirmation from Ulster Rugby and the IRFU that the contracts of Paddy Jackson and Stuart Olding have been revoked, intending to "examine the way the review process was carried out by the IRFU". Headed up by CEO Simon Keogh and Chairman Rob Kearney, Rugby Players Ireland is the official player's association for Irish rugby players and counts Johnny Sexton and Peter O'Mahony as executive board members. "Rugby Players Ireland acknowledges today’s statements by the IRFU, Ulster Rugby, Paddy Jackson and Stuart Olding. We too are committed to rugby’s values of respect, integrity and inclusivity. Through our Player Development Programme we will work to ensure that these values are upheld throughout the rugby family both on and off the pitch. "As the representative body for Ireland’s professional rugby players, we will now take time to examine the way the review process was carried out by the IRFU. We are not in a position to comment until such time as this has been completed." 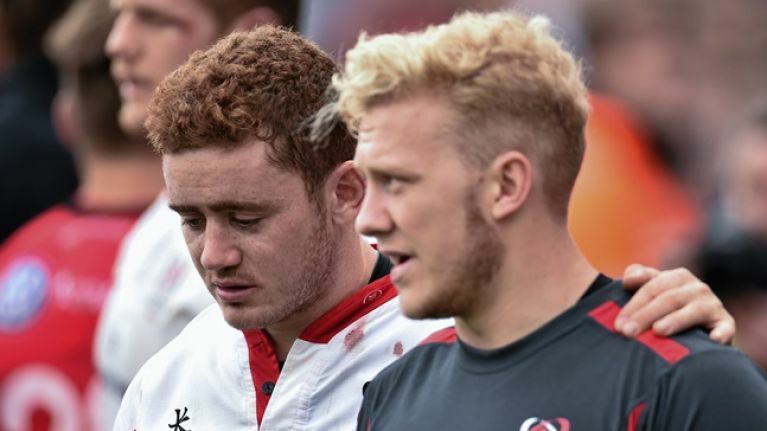 Jackson and Olding released statements of their own to the Press Association on Saturday, with Jackson expressing that he is "deeply disappointed" with the outcome of the Ulster Rugby and IRFU review. Olding, meanwhile, noted that he is "very sorry that this day has come to pass."